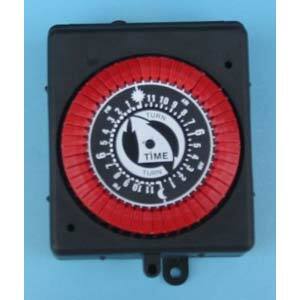 These timers provide automatic control for pumps, cleaners and other types of loads. Timers have three-way mounting; flush in round opening, raised in rectangular opening or on base. Quick connect terminals for easy installation. Part #PB913N Can be used for the NU-1000, NU-2000 & NU-3000 Nu-Wave Spa Controls and for numerous other spa controls.